After an emotional hearing in a crowded courtroom Thursday, an Anchorage judge refused to let a former highly trained soldier accused of killing three men out of jail, despite dozens of positive character statements on the man's behalf. 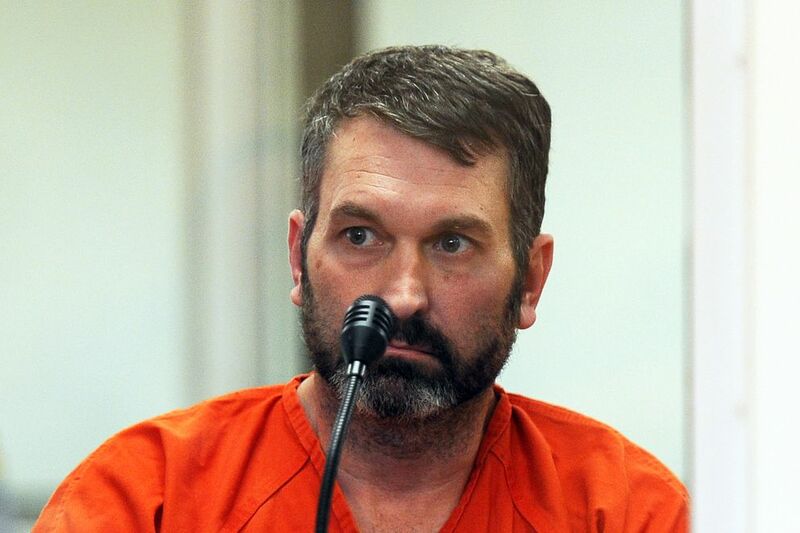 Based on what the court now knows, Anthony Pisano is "an exceptionally dangerous individual" and could threaten public safety if released on bail, Anchorage Superior Court Judge Jack Smith said. "There's going to be no bail," Smith said, ending multiple bail hearings spread out over three weeks that involved hours of testimony. The state has charged Pisano, 43, with three counts of first-degree murder for the Sept. 12 shooting at The Bullion Brothers gold shop in Spenard. Prosecutors say Pisano shot and killed Steven Cook, 31, Kenneth Hartman, 48, and Daniel McCreadie, 31. Pisano has no prior criminal record and has pleaded not guilty. Pisano's attorney, Julia Moudy, an Alaska public defender, sought $50,000 cash bail and house arrest for Pisano, primarily under the watch of his mother, Suzanne Pisano. Pisano would have been monitored by a company using a GPS-enabled ankle monitor. "Thank you so much," said a weeping Jayne Hartman, Kenneth's longtime wife, as the judge issued his ruling. She had listened telephonically. Her sobs filled the courtroom speakers. Smith indicated that his views of Pisano's potential danger to the public could change as more evidence is presented in preparation for the trial, set to begin in early December. Pisano retired from the U.S. Army in July after 20 years. He was a sergeant first class in the 4th Brigade Combat Team (Airborne), 25th Infantry Division at Joint Base Elmendorf-Richardson. Pisano told investigators he provided security services for the gold shop. In arguing that Pisano can't be trusted, state prosecutor John Darnall had claimed he is prone to "fantastical" lies to inflate his military background. Military records show he's not special-forces qualified, Darnall argued in a court filing. The prosecutor asserted that Pisano, father of two young children, appeared to have "extreme financial difficulties" after retirement. Darnall argued that Pisano was relying on his military retirement pay and loans from friends to get by. Pisano was also accepting money from customers of H&G Tactical Solutions, Pisano's security consulting business in Anchorage, without providing the purchased ammunition or weapons, Darnall said. Moudy, before she entered the courtroom Thursday, refused to answer a reporter's request to address those allegations. Before the judge, Moudy argued that 67 supportive letters from friends and family, an unusually large number, spoke to Pisano's strong character. The letters, as well as direct testimony from people he served in the military with, showed he had "high integrity" and follows through on his word, she said. Moudy said Pisano was looking for new business opportunities after retirement because he had not spent his life trying to get rich. During his career, Pisano was deployed three times to Afghanistan, and to Iraq in 2003. "He was focused on protecting our country," she said. Pisano had a "darn good reputation" until the shooting, Darnall said. But good people sometimes do bad things, he said. He said Pisano could use his military training and skills to buy firearms or build them, and to escape and threaten victims' families. After the ruling, Pisano's wife, Tracy Pisano, wept. She had sat just behind her husband, who wore orange jail garb, during the hearing. Before her husband was escorted away in handcuffs, he turned to her and whispered, "I love you."